World War I Memorial in Washington, D.C.
Washington, D.C.'s memorials pay tribute to our nation's presidents, war heroes, and important historical figures. They are beautiful historic landmarks that tell visitors the history of our country. The DC War Memorial, officially named the District of Columbia War Memorial, commemorates the 26,000 citizens of Washington, D.C., who served during World War I. The domed peristyle Doric temple made of Vermont marble stands as the only memorial on the National Mall dedicated to local residents. Inscribed in the base of the memorial are the 499 names of Washingtonians who lost their lives during World War I. It was dedicated by President Herbert Hoover in 1931 on Armistice Day—the day that marked the official end of the World War. The DC War Memorial was designed by architect Frederick H. Brooke, with associate architects Horace W. Peaslee and Nathan C. Wyeth. All three architects were veterans of World War I. The 47-foot-tall memorial is considerably smaller than other monuments on the National Mall. The structure was intended to serve as a bandstand and is large enough to accommodate the entire U.S. Marine Band. The DC War Memorial is on the National Mall just west of 17th Street and Independence Avenue SW, Washington, D.C. The closest Metro station is Smithsonian. The DC War Memorial is administered by the National Park Service. It was neglected for many years because it is one of the lesser-known and visited attractions on the National Mall. The memorial was restored and reopened in November 2011. Until then, it had been 30 years since any major work was done to maintain the memorial. Funding from the American Recovery and Reinvestment Act of 2009 provided $7.3 million to restore the memorial, including improving its lighting systems, correcting water drainage systems, and reviving the landscape to allow the memorial to be used as a bandstand. The structure was listed on the National Register of Historic Places in 2014. Because the DC War Memorial commemorates local citizens and is not a national memorial, a controversy ensued about the building of a new memorial to commemorate all of the 4.7 million Americans who served during the first World War. Some officials wanted to expand on the existing DC War Memorial whereas others proposed the creation of a separate memorial. 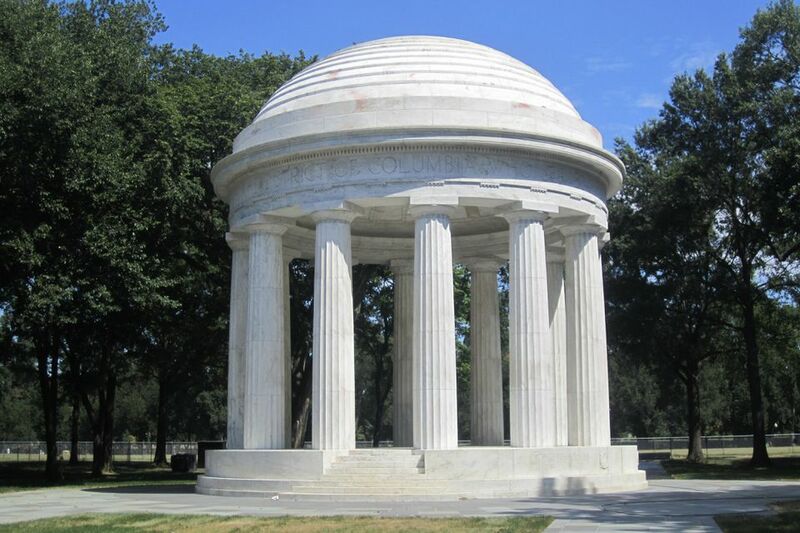 Plans are now underway to build a new World War I Memorial in Pershing Park, a small park at 14th Street and Pennsylvania Avenue NW in the heart of Washington, D.C.
A design competition has been held, and funding is being coordinated by the World War One Centennial Commission. All About Building a World War I Memorial in Washington, D.C. Explore the Women’s History Museums in Washington, D.C.
What to See and Do on the National Mall in Washington, D.C.
10 Historic House Museums in Washington, D.C.
Top Attractions to Experience in Washington, D.C.
6 Civil War Battlefields Near Washington, D.C.